Our 5-acre Hobby Lake aims to offer something a little bit different! Hobby Lake is named after the bird species which used to frequent the area in numbers and, like its larger sister, this lake is also spring-fed with crystal clear water clarity and depths from 3 to 15ft. Available for private hire for parties of 4 to 10 fishermen, it is a perfect venue to share with friends and family, or on which to stage small corporate events with colleagues or clients. Spring fed, crystal clear and with abundant fly life, it offers superb floating line fishing with nymphs or dry fly. Stocked with fin-perfect rainbow, blue, brown, golden, sparctic and tiger trout well into double figures. Always rested between bookings, to ensure you have every chance of a red letter day. 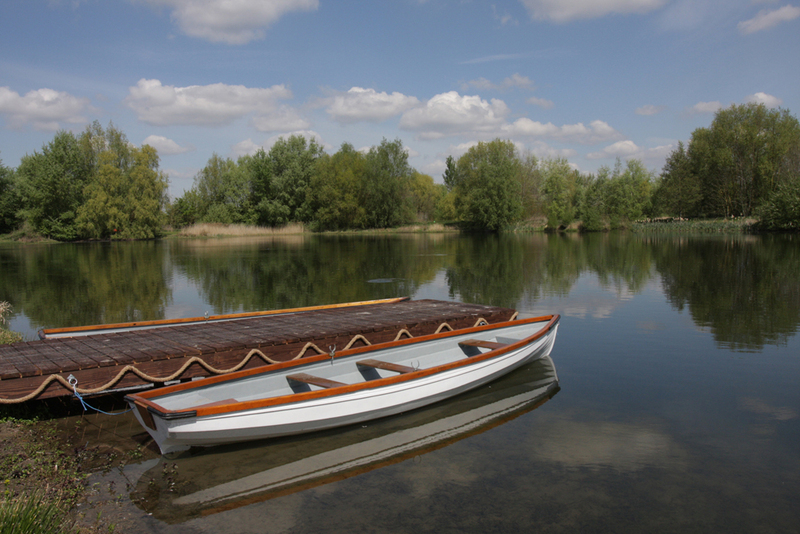 Price includes exclusive use of Hobby Lake and Hobby Lodge, BBQ facilities and 2 rowing boats (life jackets supplied). We supply all you need for a perfect day’s trout fishing, just bring your own food, drink – and friends! 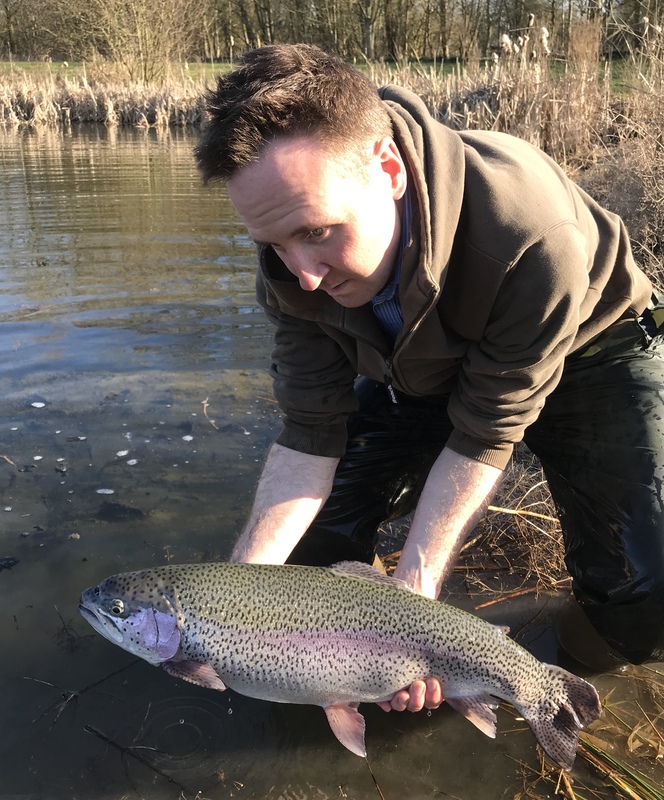 As part of a major lake redevelopment we opened the stocking of Hobby Lake with approximately 50 tiger trout up to double figures in weight and further stocking with high quality brown, blue, golden and rainbow trout took place before the fishery opened in May 2017. Regular ongoing stocking is with a mix of rainbow, brown, tiger, golden, sparctic and blue trout of a high average size. In addition to a superb stock of fish, Hobby Lake also features a well-appointed lodge and BBQ area what act as a perfect focal point for socialising with your party, and there’s also a pontoon from which to launch the lake’s two boats. 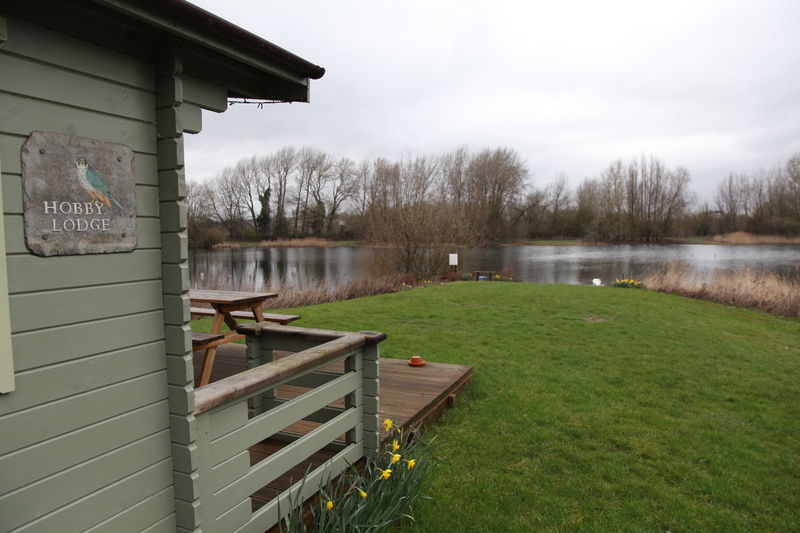 Hobby Lake is reserved for private bookings for groups of up to four anglers (limit of 4 fish per angler) and the cost of hiring the whole lake in exclusivity is £375 per day, with additional rods charged at £75. Two boats are provided to ensure you get the most from the venue as the lake does have shallow margins, but bank angling is permitted and accounts for plenty of fish too. Hobby Lodge, a perfect social focus for your day on the lake. 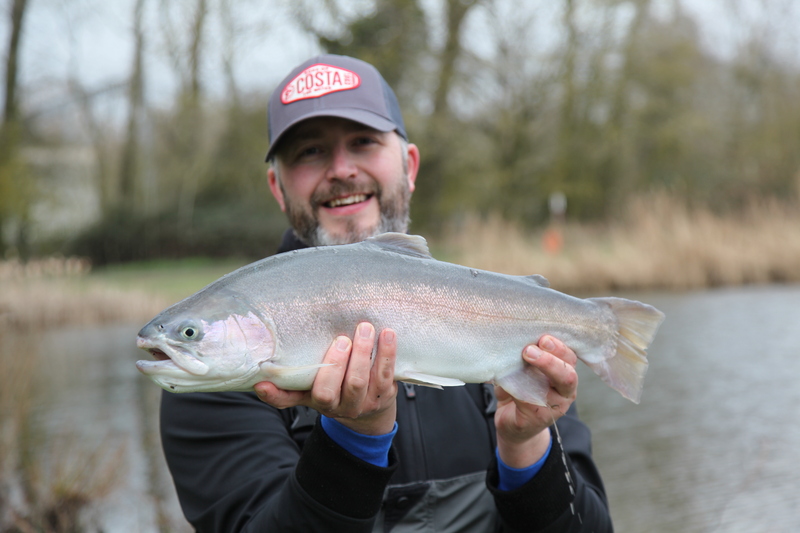 We regret that catch and release fishing is not permitted on this lake but if you do not wish to take your fresh home with you on the day we have an arrangement with a local smokery – just ask the fishery team for details when you make your booking. Jonno Randall introduces a cracking double figure rainbow in March 2019.